Standard & Poor’s has agreed to pay about $80 million to state and federal authorities to settle claims that it acted inappropriately in its dealings in the commercial-mortgage bond market. The company has been facing accusations from regulators that it bent its criteria when rating mortgage-backed securities to win business for the firm. About $58 million will be paid to the SEC and an additional $19 million will be paid to attorneys general for New York and Massachusetts. As part of the settlement, the company will be suspended from rating the biggest part of the commercial-mortgage bond market for the next year. Specifically, the SEC banned the company from rating new U.S. conduit-fusion CMBS transactions until January 21, 2016. This has been the toughest action taken against a ratings agency since the mortgage crisis that nearly caused the collapse of numerous banks. The Securities and Exchange Commission accused S&P of misleading investors about the criteria used by the company to rate eight commercial-mortgage backed securities worth $1.5 billion in 2011. An investigation by the SEC revealed that S&P revised its rating criteria after being shut of the CMBS business and released a misleading article touting its new method. S&P pulled the ratings a few months later, causing market disruptions and prompting an investigation by authorities. 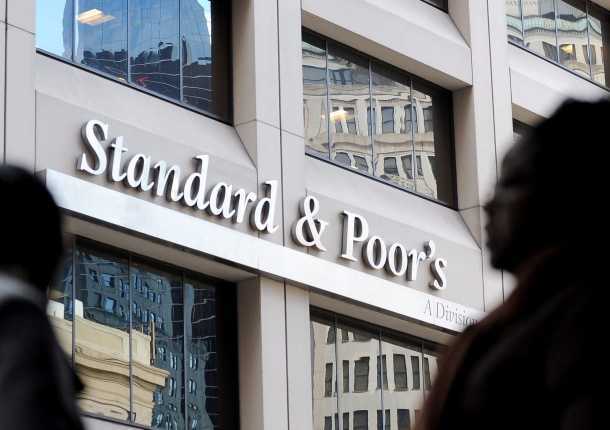 S&P did not admit or deny that it was misleading clients with the study’s information, but the company agreed to correct how it described its ratings criteria. SEC Chairman Mary Jo White has been monitoring the rating agencies that contributed to the financial meltdown closely during her tenure to prevent further wrongdoing. S&P former commercial mortgage chief Barbara Duka has been charged in a separate action for her role in the changing of the ratings criteria. The company is also still facing a lawsuit from the U.S. Justice Department over securities backed by subprime home loans rated by the company.